With Readly you can read Quilting & Patchwork for Beginners and thousands of other magazines on your tablet and smartphone. Get access to all with just one subscription. New releases and back issues – all included. 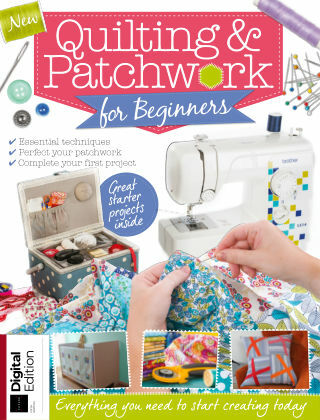 In Quilting & Patchwork for Beginners, you’ll find everything you need to start completing gorgeous patchwork projects, from learning how to craft your own designs and which stitches to use, to full patterns that you can follow to create something spectacular.